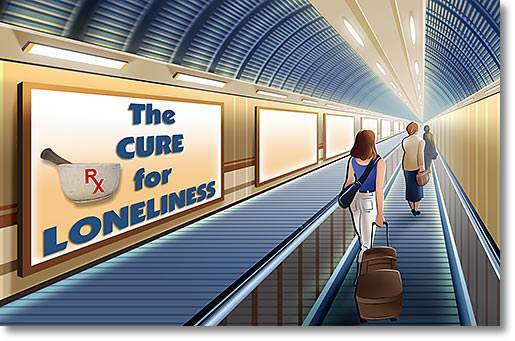 The Cure for Loneliness. 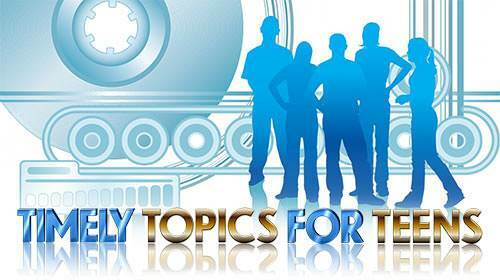 Lesson 7 in "Timely Topics for Teens"
Elvis Presley was one of the original rock and roll stars. He made millions in show business. 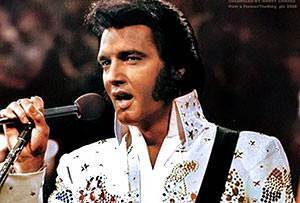 While being interviewed on the air, he was asked, "Mr. Presley, how do you account for the happy, joyous expression you always seem to have on your face?" Elvis answered, "Because I have to in order to make a living. Inside I'm as lonely as hell." He's not the only one. You can go around all day wearing a plastic smile, surrounded by hundreds of people, and yet inside be as lonely as Elvis was. Do you think "beautiful people" are always happy? Well, they aren't. Dr. Martin Grotjohn, professor of psychiatry at University of Southern California Medical School, made an exhaustive study of beautiful people—how they behave, how they relate to others, and how they feel about themselves. He says, "It has been a source of startling surprise to me to see the amount of depression, loneliness, and deep unhappiness among beautiful people." What about you? Are you satisfied with your life the way it is? A manufacturer puts this note in with the product he sells: "When everything else fails, try reading the directions." 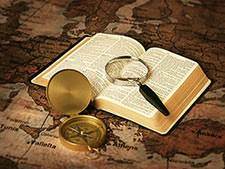 God has given us a book of directions and it gives us the answers to the really important questions in life. The Bible not only tells us who God is and what He is like, but it also tells us who we are and what we are like. We are not machines and we are not mere animals. The Bible says we were created "in the image of God." (Genesis 1:27) Even more important, we were created to be filled with God. A sweater is a piece of clothing made in the image of a person. It has two sleeves and a place for your head to come through. It is not only made in the image of a person, but it is designed to be filled with a living person. We, too, were designed to be filled with a living person—God Himself! Why aren't we filled with God? Because we don't choose to be. When God made man, He gave him the ability to choose to love and obey Him or to say "No" to Him. The first man, Adam, chose to disobey God, and every one of us has done the same thing. The Bible says, "each of us has turned to his own way" (Isaiah 53:6). Instead of being filled with God's life, we are filled with Self. We want to have our own way and to be independent of God. The trouble is that we are not able to cope with our problems. We are lonely and frustrated and insecure. And we are loaded down with a ton of guilt because of our sins. It's no wonder we are not happy. We're always looking for something that will satisfy us—some new thrill or experience. Jesus is still inviting people to come to Him and be satisfied. 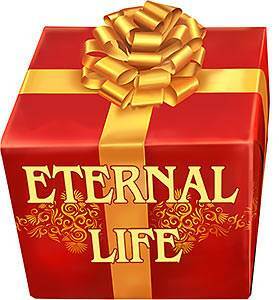 To put it plainly, we were made by God and we need His life in us to satisfy us. If we miss this, life will be as empty and meaningless as if we were an empty Coke bottle alongside an abandoned highway. God's answer to every human need is His Son. Jesus Christ was and is and always will be God, but He became a man that He might make things right between God and us. Because Christ paid the penalty for our sins, God can forgive us of our sins. God does not overlook our sins, but He forgives them because He sees the blood of His Son which was shed for them. Jesus Christ not only died for our sins, but He also rose again. 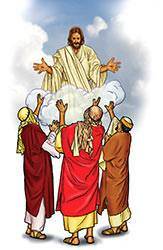 He ascended back into Heaven where He was given the place of all authority and power. 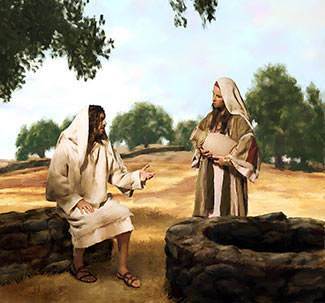 Then on the Day of Pentecost, He came back to live in the hearts of His disciples. He can live in your heart too! God forgives you of all your sins. 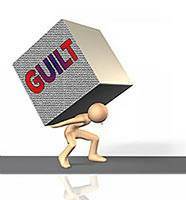 That ton of guilt is gone—forever! God not only forgives you, but He also counts Christ's righteousness to you. 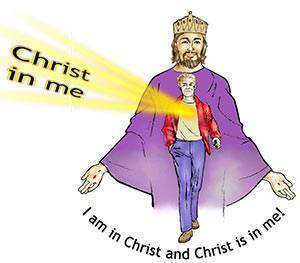 God sees you "in Christ" and you are as pure and clean in His sight as Jesus Christ Himself. God the Father becomes your Heavenly Father. You become his responsibility. Just as any child who has a good father looks to his father for his needs, so you can look to your Heavenly Father for your needs. God wants you to do this. You become a member of the biggest family in all the world! Every Christian is your brother or sister in Christ. And God gives you the Holy Spirit to dwell in you so you will love them. You have a new destination—Heaven! And you can be absolutely sure that you are going there because God says so and He cannot lie. You say, "Hey, that sounds great! How do I get in on it?" 1. First, admit that you are wrong and ask God to take over your life. The reason we commit so many sins is because we will not let God rule our life. We want to have our own way. What is repentance? It's a change of mind about yourself, about sin, and about God. It's coming to God and saying, "God please forgive me for the way I've treated you. I want you to take over my life and run it from now on." It's not easy to admit that you're wrong, but it results in wonderful joy. Why? Because it brings you into a right relationship with God. 2. Second, believe what God says. 3. Third, receive Christ as your Savior. In order for a gift to be yours, you must receive it. God's Gift to us is His Son. Everything we need is in Him. But we must receive Him. The Bible says, "to all who received him, to those who believed in his name, he gave the right to become children of God…" (John 1:12) Do you have a broken heart? Do you wonder if anybody understands you? Jesus does! 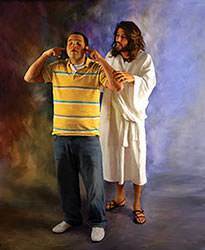 Because He lived here as a man, Jesus Christ knows what it is like to be poor, to be lonely, to be misunderstood, to be rejected, to suffer, and to be tempted. Because He is God, He is wonderfully able to help us when we call on Him. And He is just as available as the air you breathe! How do you receive Him? 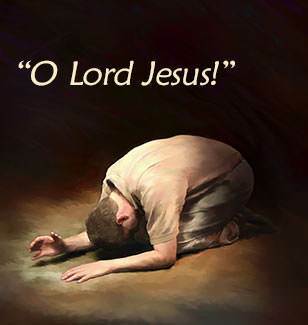 You receive Him by calling on His name—"O Lord Jesus! O Lord Jesus!" Pour out your heart to Him. Tell Him everything bad you can think about yourself. 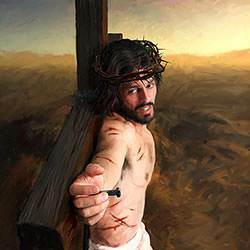 Ask Him to forgive and cleanse you in His precious blood. Invite Him to take His rightful place on the throne of your heart. He will! Here is some additional material on this subject, from the Hollywood Free Paper. "Three of my friends tried to commit suicide…"
It eats inside your system. It brings a vacuum of emptiness, a fear of death, a gnawing hunger of wanting to be understood and loved. Loneliness is a sickness. It hurts. For some it hurts so much that they would do anything to run away from it. But their life amounts to a big cop-out and the problem isn't gone. Why? You can have a million close friends and still be lonely. You can be the best looking, most popular, most successful person on earth and still be lonely. 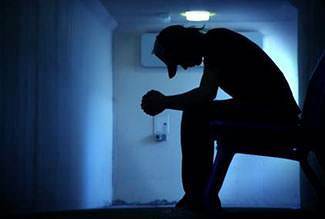 No matter what you do, where you go, or what you try to be, loneliness still eats your heart. Lonely people need love—warm, flowing love. Love is power, power to conquer disease, sickness and even death. Love has more power to unite the world than the nuclear bomb does to destroy it. Love can kill loneliness. Jesus showed us God's love. Jesus has the power to conquer disease, sickness and death. He spread God's love to all who wanted to receive it. But when Jesus died He died knowing the lonely emptiness and fear all the people have who are without God. He left all the glories of Heaven to humble Himself in the fashion of a man—as God walking among man to show them His love. 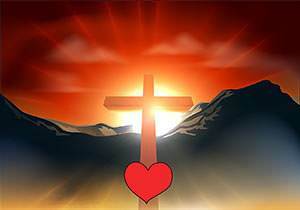 He was obedient all the way to the cross, but on the third day love burst the bonds of death with resurrection power. God wants to get man back in step with Him. God created man in His image, for love and fellowship with Him. 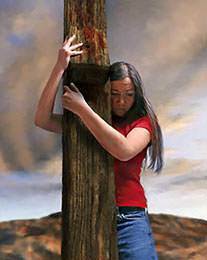 Although man messed up, Jesus took our sins and paid the price for our separation from God. Believe He did that. Now that the chasm is bridged, we can get back to God's original plan of love and fellowship. 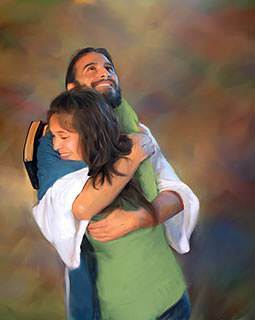 Ask Jesus to come in right now and fill you with Himself, bringing love and mercy. He'll show you how to get on track with Him. He will take away your loneliness. He will clean you of this deadly disease that eats in the hearts of people everywhere. Jesus gives you Himself. He is love. He is your answer, and He is your guidance. It's awesome to think that God created you, me and all Heaven and earth; and that the personal fullness of all creative power wants to come right inside you right now! Loneliness can end for you today.